This 2-bedroom house for sale in vilaage Golyama Zhelyazna at the mouth of lake Sopot. 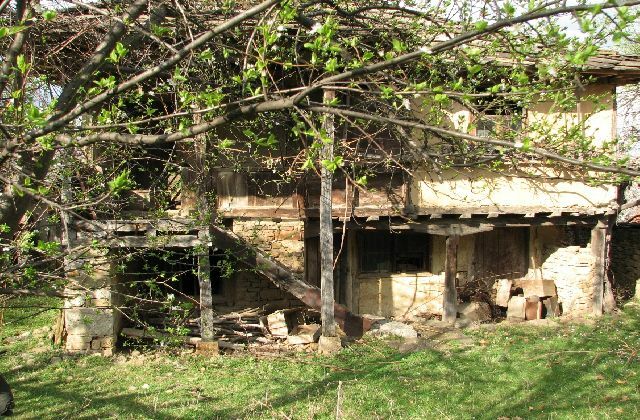 It is 20 km form Troyan, 12 km from the main road Sofia-Varna, 25 km from the local skiing resort Baklemeto, 30 km from Spa Resort Chiflik, just 2 km from Toplya Cave. The house is on two levels. The ground floor consists of one big room used as a basement at the moment, but can be converted for living purposes. The first floor has kitchen with fire place and two bedrooms. The floors are with parquet, the doors and the windows are wooden. 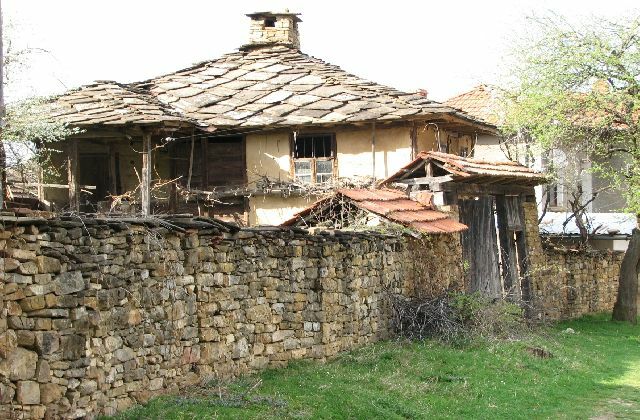 The house is in traditional style with, stone foundations, mud walls and stone plates on the roof. 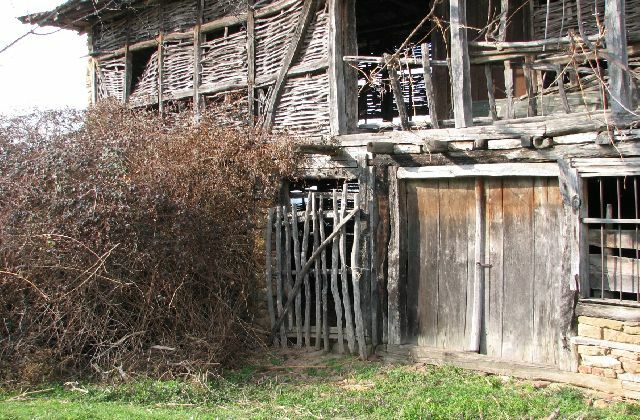 The house will require serious refurbishment/restoration. Or the building can be demolished and new house can be built in the same size without building permit. The house is connected with electricity, phone line and internet connection can be installed upon request. 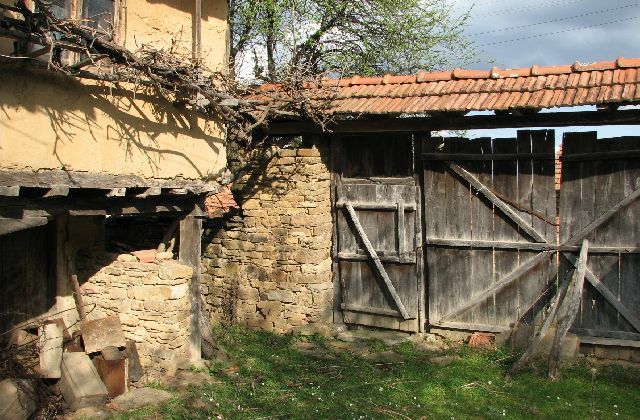 There are three agricultural buildings in the yard respectively 52 sq m, 22 sq m, 44 sq m. They can be used as barns/stores/ workshops or converted for additional living space. Golyama Zhelyazna is a sizable mountain village just at the mouth of Lake Sopot, near the town of Troyan. 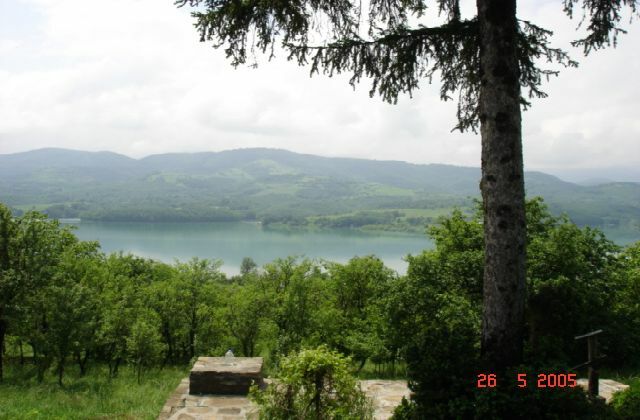 The lake is with 7 km lenth and 2 km width: perfect place for holidays and recreation in the summer, suitable for fishing, swimming and various water sports. The village is quite sizable for the country (about 870 residents) with all basic amenities like shops, pub, church, school and a post office. 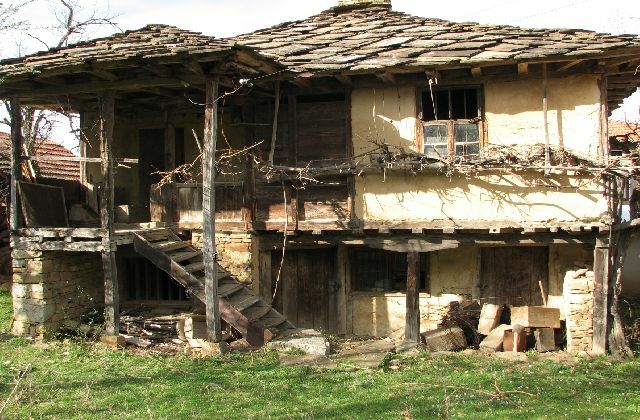 The village situates only 20 km form Troyan and 12 km from the main road Sofia-Varna, where the distance to the capital and its airport is less than 1 hour drive most of it on a motorway. 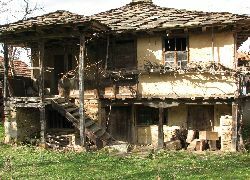 The property is located in this pastoral rural area of Troyan Balkan with preserved local traditions in pottery, logging and fruit-growing. 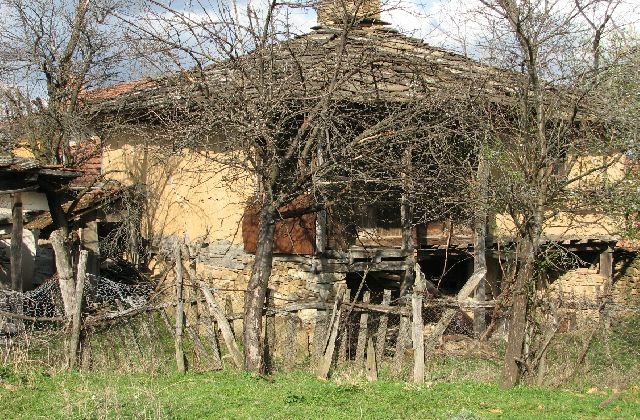 The area is renowned for its excellent Slivova Rakiya (national drink made from distillation of fermented fruits in this case plums). 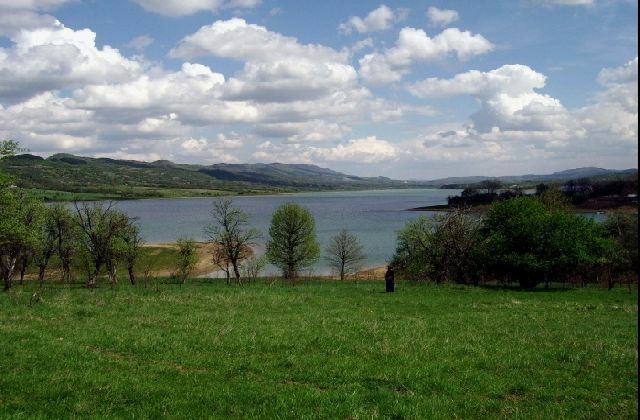 The natural beauty of the area is enhanced with abundance of wild life and game like bears, boars, dear and large variety of fresh water fish in the lake as well in river Toplya. 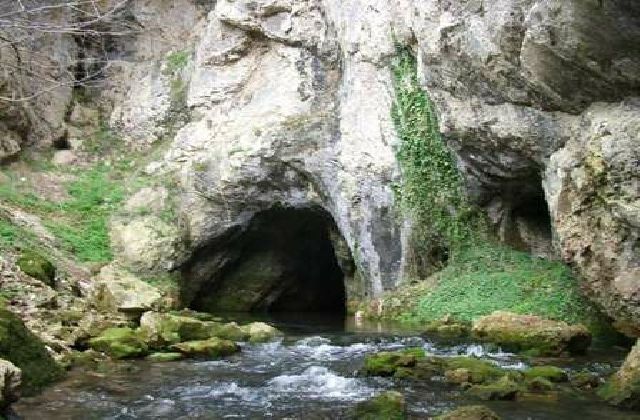 The river flows from cave Toplya. Living from 40000 years ago was discovered in the cave. 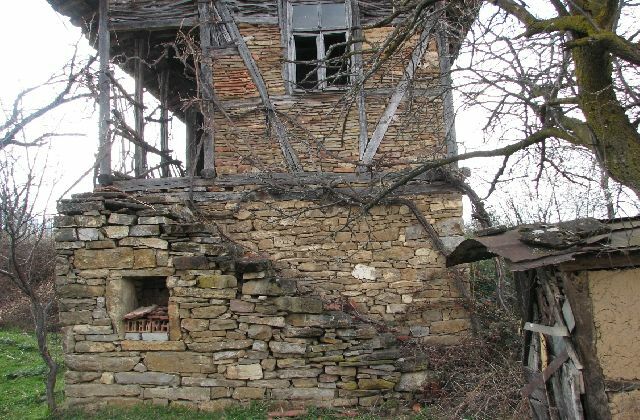 The location of the place allows for short trips in the winter (25 km) to the local skiing resort Baklemeto, hot mineral springs in Chiflika and Shipkovo, fishing or windsurfing on the lake, not to mention the joy of picking herbs, wild berries and mushrooms while hiking in the mountains around.